while you save time and costs. 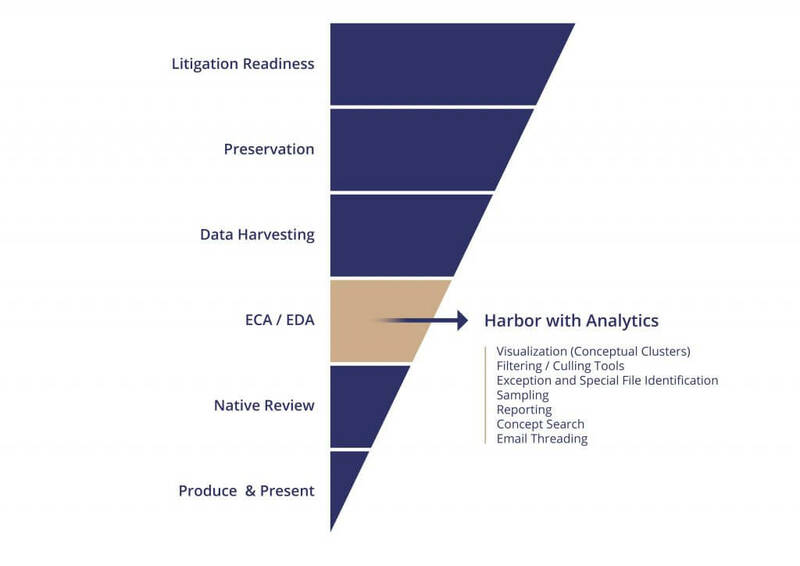 Early on, the Harbor Workflow leverages a powerful Analytics processing engine, fully engaged with the review tool, before hosting data for review. This speeds up access to your documents, accelerates case understanding, defensibly reduces data sets, and significantly lowers costs. As soon as our system ‘ingests’ data, you gain instant access to: keyword search, reporting, culling strategies (de-duplication, de-NIST, etc. ), and advanced options, with no hidden fees. Our process simply enhances traditional review without adding any controversy. Crisper, more intelligent organization brings improved reviewer proficiency to generate smarter review. A faster, cleaner review process increases accuracy with greater consistency at lower cost. 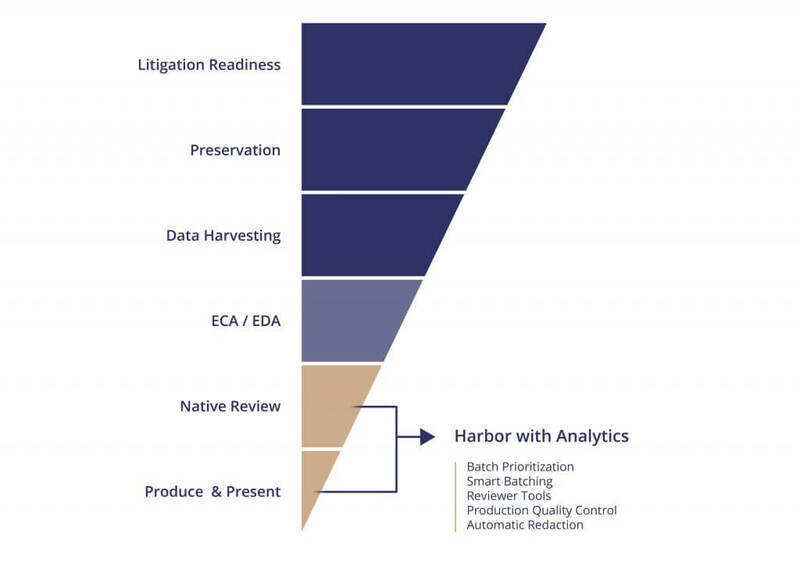 Cutting-edge tools improve the speed, efficiency, precision, and verification of document decisions made by reviewers, before production. Ask Oliver, our Director of Business Development, how the best use of Analytics can impact your processes and profitability.